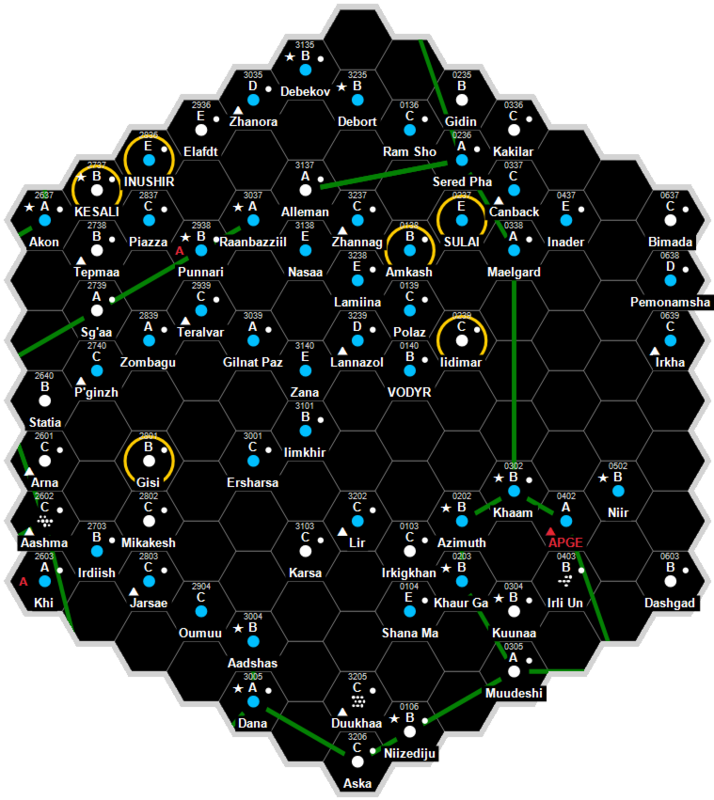 Lode is a high-population ring of many small worldlets (planetoids AKA an "asteroid belt"), not capable of retaining an atmosphere or water, and are both non-agricultural and industrial in nature with a billion or more sophonts in population size. Lode has a pressure of less than 0.001 atmospheres, which requires the use of a vacc suit. This page was last modified on 18 November 2018, at 12:43.